We offer diagnosis, investigation and treatment of sport and musculoskeletal injuries, as well as strength and conditioning, cardiovascular health and exercise advice and specialist nutritional advice. We also offer psychological input to improve your attitude and mental game skills to help you perform at your best by identifying limiting beliefs and embracing a healthier philosophy about your sport. 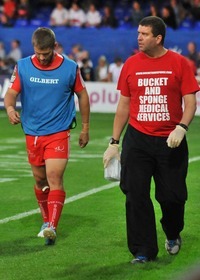 At Bucket and Sponge, we treat each individual as we do the elite athletes under our care. we help ensure that you achieve your goals whether that is to lose a few pounds in weight safely, perform in your sport at an international level or enjoy your everyday activities.